Arthur was born in Hadleigh on 3 February 1887. 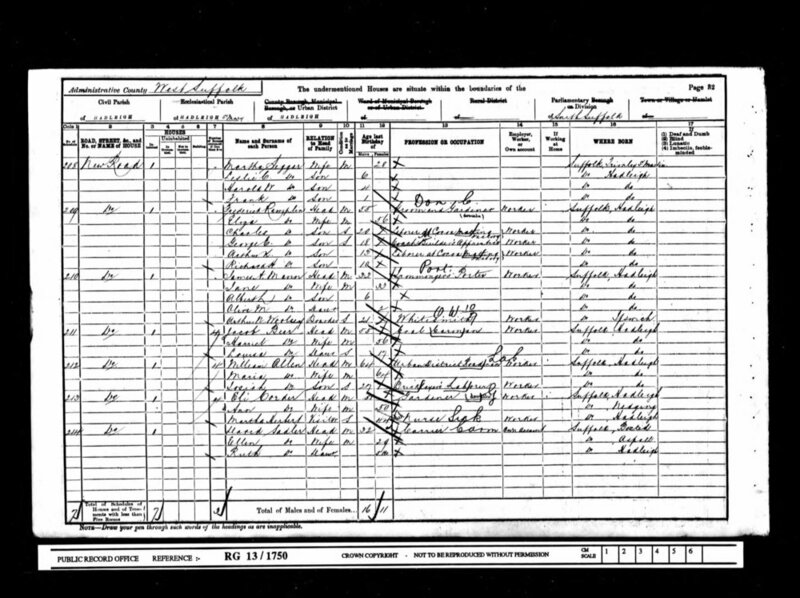 By 1901 he was 13 years old and living at home at 33 New Cut with his parents, Frederick (55) and Eliza (56) and his siblings; Charles Frederick (20), George (18) and Richard Harry (10). He was educated at Bridge Street school and on leaving school worked at the coca matting factory in Duke Street. During the Great War the Royal Navy operated ships called Q-ships. These were heavily armed merchant ships with concealed weaponry, designed to lure the menacing German submarines into making surface attacks. 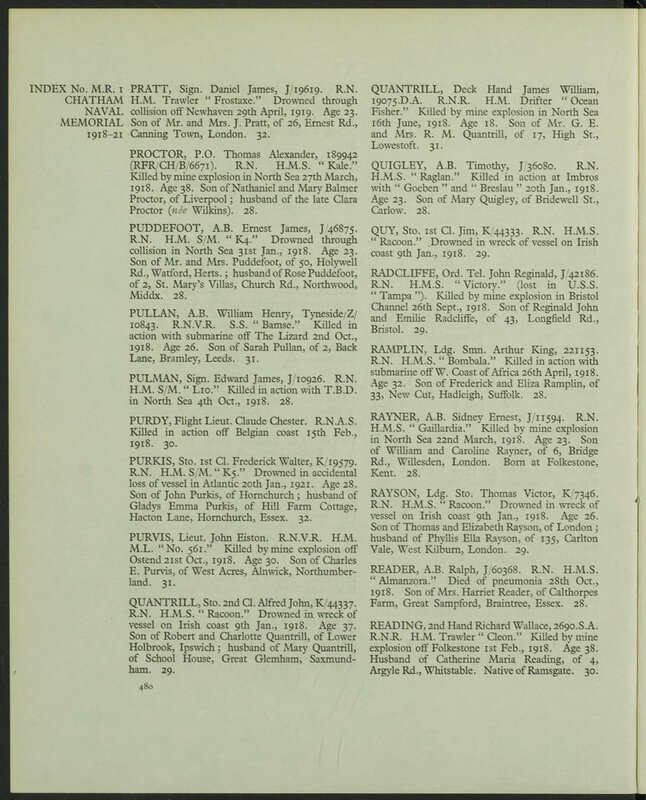 Serving on one such ship, HMS Bombala, was Hadleigh man, Leading Seaman Arthur King Ramplin. 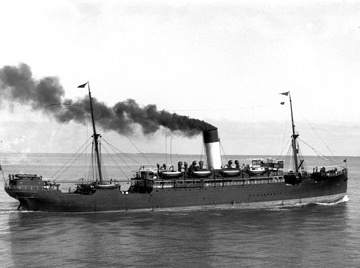 It was a dangerous operation particularly if two submarines were working together and if the Q-Ship was alone and this was the case with the ‘Bombala’ who on 25 April 1918 was operating north-east of the Cape Verde Islands. In 1902 Arthur joined the Royal Navy as a boy entrant and was trained at training at Devonport, Shotley and Chatham. His trade was as a gunner and he travelled the Empire. He saw action when the German Grand Fleet attacked Hartlepool in December 1914 and later transferred to HMS Africa and was involved in the protection of convoys off the West African coast. He joined HMS Bombala in July 1917. At 10:15hrs on 25 April 1918 a German submarine was sighted off the Port Quarter, the alarm was sounded and all hands prepared their guns. Fifteen minutes later a second German submarine was sighted off the starboard bow. Both submarines then opened fire and 'Bombala' hoisted the White Ensign and as the submarines came closer returned fire with her 4 inch gun operating to port and the 14 pounder to starboard. After firing some thirty rounds the submarines got the range and the 'Bombala' received numerous hits and suffered casualties amongst the 59 man crew. The gun battle lasted for two and a half hours. 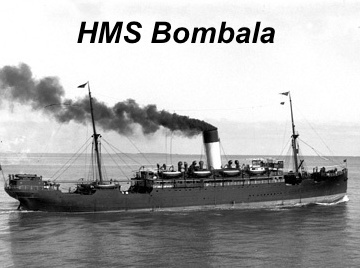 With the ‘Bombala' ablaze the captain ordered all hands into the two serviceable life boats. The submarines (U-153 & U-154) then came alongside the life boats and the Germans took one British officer prisoner and it was learned that the U-Boats had suffered seven men killed and four wounded in the action. The two life boats containing a total of forty six survivors were then set adrift. They separated a day later, one never to be seen again. The remaining boat drifted about under the blazing sun for eight days and on the morning of the ninth day made land in the estuary of the Senegal River, but only fourteen men remained alive, the rest having died from the effects of starvation and thirst. Most were too exhausted to leave the beach where they had landed and only two men subsequently managed to find assistance from local Arabs and they eventually reached Dakar. They were the only two survivors from the ‘Bombala’. Arthur had perished. Arthur King Ramplin was entitled to the above medals. The whereabouts of his actual medals are currently unknown. 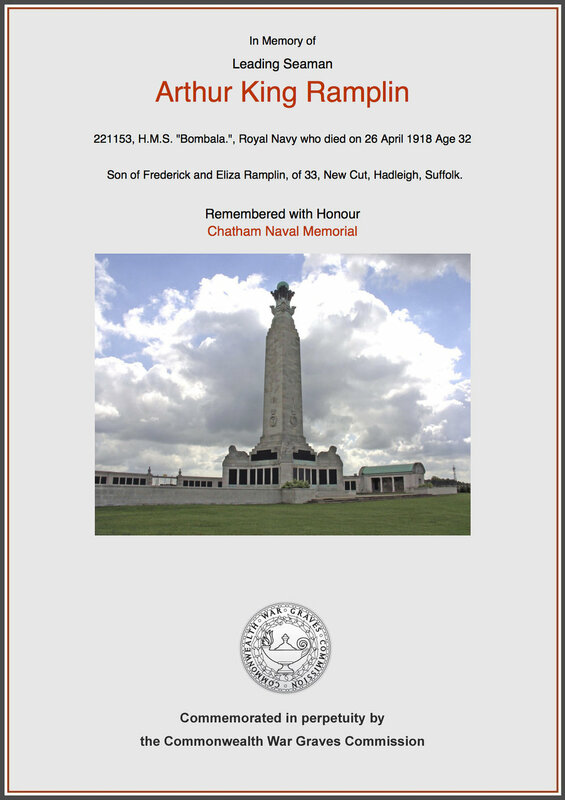 Arthur King Rampling's body was lost at sea and he is remembered on the Naval Memorial at Chatham, Kent and on the Hadleigh War Memorial. Arthur was one of three brothers from the same family who died during the great war. 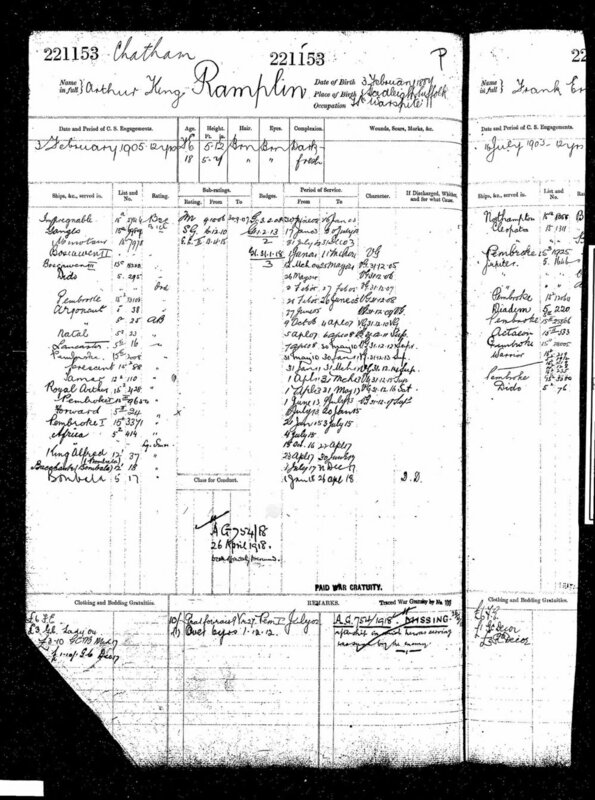 We hope that this page has been able to tell the story of Arthur King Ramplin. If you know of any information which might help to add to the story then please get in touch.